The most surefire way to become a millionaire retiree (aside from actually starting with a million dollars) is to invest in stocks that consistently generate strong returns, and allow your gains to compound for decades. Certain real estate investment trusts, or REITs, make particularly great retirement investment. 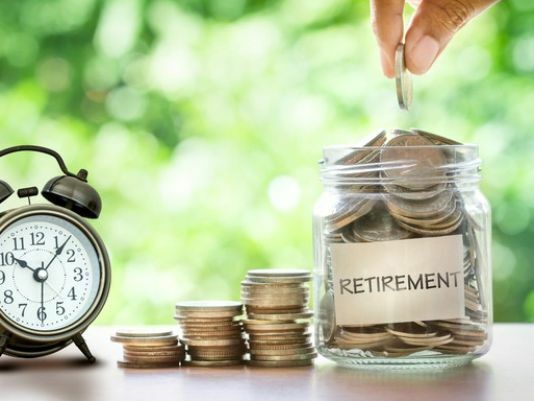 Here's why REITs are great stocks to hold in retirement accounts, and two examples that could be great investments for you, both of which are cornerstones of my own retirement portfolio. I'm a big fan of REIT investing, but this is especially true when it comes to retirement investing. Specifically, the favorable tax treatment of REITs works twice as well in retirement accounts. In exchange for agreeing to distribute at least 90% of their taxable income to shareholders, REIT profits are not taxed on the corporate level, unlike most other companies. For example, if you own Microsoft stock, the company's profits are taxed before the company pays your dividend. This is not the case with REITs. The potential downside is that REIT dividends generally don't qualify for the lower "qualified dividend" tax rates and are instead taxed as ordinary income. This still tends to work out favorably for shareholders, but it is a consideration for income investors. Here's the point. In a retirement account such as an IRA, you don't pay taxes on the dividends you receive. You only pay income tax when you withdraw your money (traditional IRA) or when you contribute to your account (Roth IRA). This double tax benefit of holding REITs in retirement accounts can give you a big advantage over the long run. Data center REIT Digital Realty Trust (NYSE: DLR) could be a great way to invest in the growing need for data storage, a market whose growth rate isn't expected to slow down anytime soon. Simply put, a data center is a building designed to house servers and network equipment in a reliable and secure environment. Digital Realty provides a wide variety of data center solutions to clients, both big and small. Top tenants read like a who's who of major tech and financial companies -- IBM, Oracle, Facebook, JPMorgan Chase, Verizon, and Amazon are all among Digital Realty's top 20 tenants. Tenants sign initial lease terms of 11 years, on average, which minimizes turnover and vacancy risk in any given year. Once the acquisition of DuPont Fabros Technology is finalized later this year, Digital Realty will have 157 data centers in its portfolio with 26 million rentable square feet. The properties are located in 12 countries around the world, but international expansion remains a key area of potential growth going forward. Perhaps the most important reason to consider data center real estate as an investment is the growing need. According to Cisco, global IP traffic is expected to grow at a 22% annualized rate through 2020, and global data center traffic is expected to grow even faster, at a 27% rate per year. Furthermore, this steadily growing demand offers protection against recessions. In fact, Digital Realty has achieved 11 consecutive years of positive growth, including during the financial crisis. As you can see, most other leading REITs cannot say the same. Shareholders have been handsomely rewarded, as Digital Realty has increased its dividend at a 12% compound annual rate since 2005, and the stock has generated total returns of 1,570% for shareholders -- that's an annualized return of 26%. This isn't an exaggeration. The healthcare real estate market is about $1.1 trillion in size now, and the portion of the population that uses healthcare most, senior citizens, is expected to roughly double in size by 2050. When combined with natural growth in real estate values over time, it's fair to say that the market value of healthcare real estate could easily double, or much more, in the next three decades or so. There are a bunch of REITs focused on healthcare, and HCP (NYSE: HCP) looks particularly attractive from a long-term perspective. The company owns properties, most of which are senior housing, life science, or medical office buildings. 95% of the property's revenue comes from private-pay sources, which is more stable and reliable than healthcare revenue dependent on government reimbursements. HCP should be a big beneficiary of the aging population, as senior housing makes up nearly half of its portfolio, and demand is expected to grow by more than 600,000 units over the next 15 years alone. Yet another potential growth catalyst for HCP is the current fragmentation in the healthcare real estate market. Only about 15% of the $1.1 trillion in properties are REIT-owned (compared with 40% or more for properties like hotels and shopping malls), and HCP is one of the largest. As the industry undergoes REIT consolidation, large, financially flexible players like HCP should have an advantage. In fact, between its three core property types, HCP estimates its investable universe to be $710 billion in size. Aside from 2016, during which it spun off certain assets, HCP has an excellent history of dividend increases. In fact, the company was a member of the S&P 500 Dividend Aristocrats index and has handily beaten the S&P's return over the past quarter-century.